The Infertility Overachievers: The New Sound of Infertility. I have two kids. TRUE! But you can NOT take away my struggle with infertility just because I have had success. I love my boys more than anything in the world...True! However when I think of my past I can not forget the way I felt each month while trying to conceive. It was painful and I can still feel it in my gut now. How I felt every time some one said relax or told me how their great grand mommy didn't get pregnant for 9 years, and she didn't even have access to infertility treatments. UGH!! I swear every woman who ever had a baby KNEW how to get me pregnant. None of it worked until I forked over $6,000 plus dollars, gave myself over 60 injections (with in 2 weeks), and put my feet in the stirrups for a doctor wielding a giant needle. So if you know me at all, you know I lurve music, and tonight when I heard Jason Mraz new(ish) song, I couldn't help but think about infertility. "God knows we're worth it"
Really ncie song, going to have to remember this for the times when I need a little push. We start injections on 2/12 sometimes I'm scared other times I'm not. One thing is for sure music is a huge part of my life so songs like this will definitely help to cheer me up and push me through. That was a beautiful post and I am so in love with that song!! Thank you so much for sharing it. It made me cry and smile so big!! I am definitely reposting it! Congrats on your beautiful family! I hear you loud and clear! We want a third child so bad and our only frozen embryo failed us so we just can't spend the $15K right now. It is a terrible feeling. I hate how crappy people are about it, like because it hurts that I want more kids I am not grateful or I don't like the ones I have. Of course I am, but this is a separate issue to me. 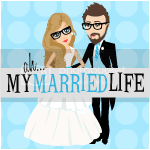 Kimberly and I love your blog. Thank you for the post. Thanks for this post!!! It is soooo true. 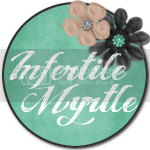 Even though we now have our miracle, infertility will always be a huge part of our lifes. We are trying for number two now and I was really afraid of starting it all over again. But it is so much easier this time around, now that the pressure is off. Thanks for a great post.